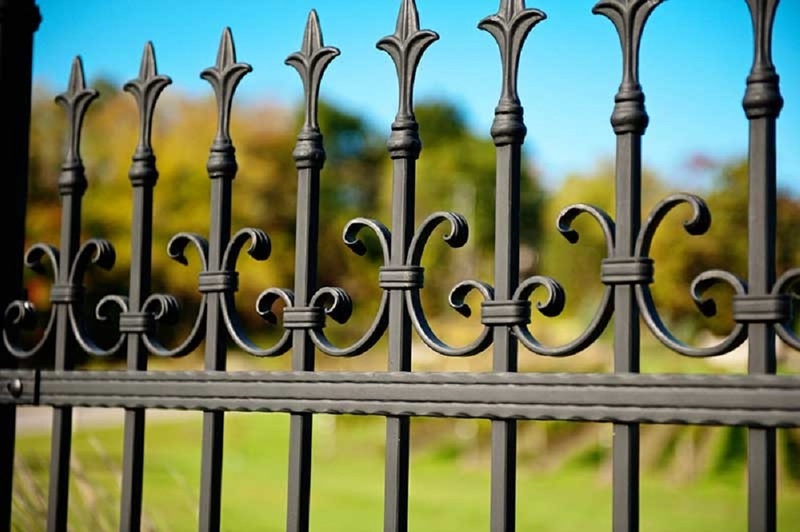 Many people love wrought iron fences not only for their beautiful look, but also for their durability and sturdy structure. 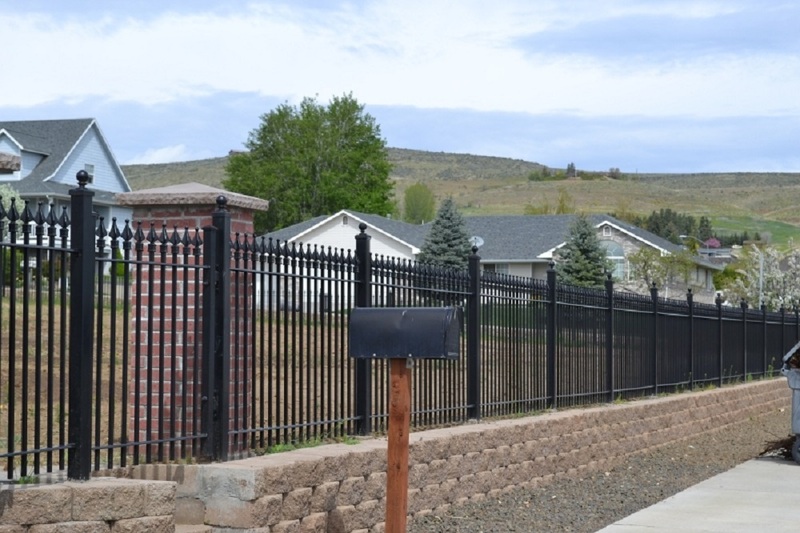 An iron fence made from high quality materials can last for decades. But, iron fences have one common enemy: rust! It can significantly shorten your iron fence’s lifespan and can weaken its structure. In order for your fence to stay beautiful, strong and durable, you need to maintain it properly, and here’s how you can do it. Painting your iron fence can greatly help protect it from all sorts of damage. In this case, paint works as a barrier between the iron and air. Since it minimizes oxidation, this significantly reduces the possibility of rust forming. A fresh coat of paint will not only protect your fence, but it will certainly make it look new and more attractive. One of the best ways to maintain a good look and durability of your fence is to clean it regularly. In order to remove dirt you can use a mixture of warm water and dish soap. Use this mixture to wash away dirt and remove rusty spots (you can use a toothbrush to reach the tricky spots) and then rinse with regular water and let air-dry. When your iron fence is clean, you will be able to spot all potential problems, plus it’ll look great. Inspection is another great way to maintain your iron fence. This way you will be able to identify all areas that need repair or a touch up. You should pay extra attention to rust, cracks or loose footings. If your fence was painted, make sure there are no chips in the paint. If you find any sort of damage, do what is necessary to repair it. With regular inspection you will be able to catch all problems in their early stage, and you will be able to fix them easily. Also, if your gates are squeaky, make sure to grease them with lubricants. 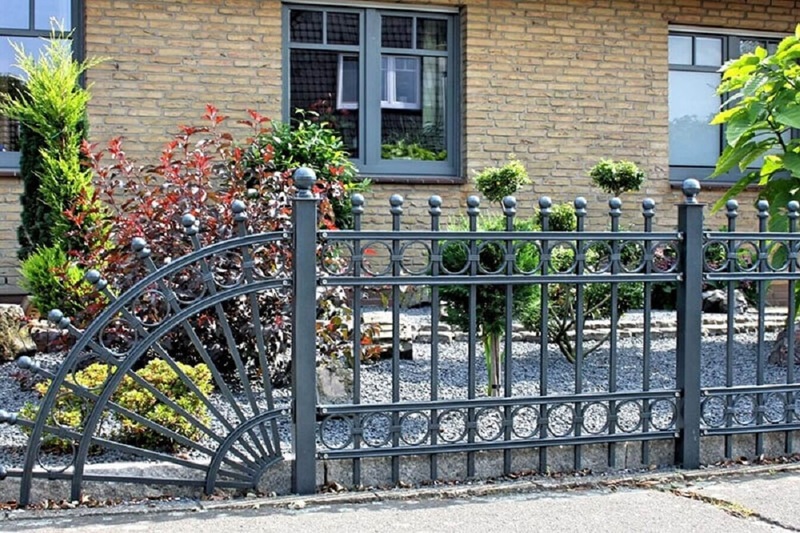 Many parts of your wrought iron fence can be accidentally bent or damaged. If this happens, you might be able to fit it yourself. You can use a blowtorch to heat the bent section and then hammer it back into place. Of course, be careful when working with such tools, and if you have no experience or the damage is severe, you might consider calling an expert in iron fence repair. If you notice any smaller rust spots on your fence you can minimize the damage by taking appropriate steps. First you should use a sandpaper or steel wool to remove the rust, and then cover the area with a rust converter or protection paint. Also, you can retouch your paintjob to minimize the appearance of rust. But, if there are larger areas that are rusted, you might want to call a professional who will take care of your rust problem. Iron fences can rust if they are constantly exposed to elements such as humidity or rain. Some climates are very prone to such phenomena, but no matter where you live, you might want to take some preventive measures. You can apply various protection paints or waxes to stop the rust from forming, or even consider covering your fence with a tarp during severe rainstorms. Also, rust is more likely to form if your wrought iron fence is near a pool, but applying a protective sealants and paints will reduce most of the negative effects. If you take all of these steps and perform regular maintenance at least twice a year, your iron fence will stay in a great shape and look beautiful for many years to come.